I attended a fantastic presentation in the Factory on the 6th Floor of the MAC yesterday. 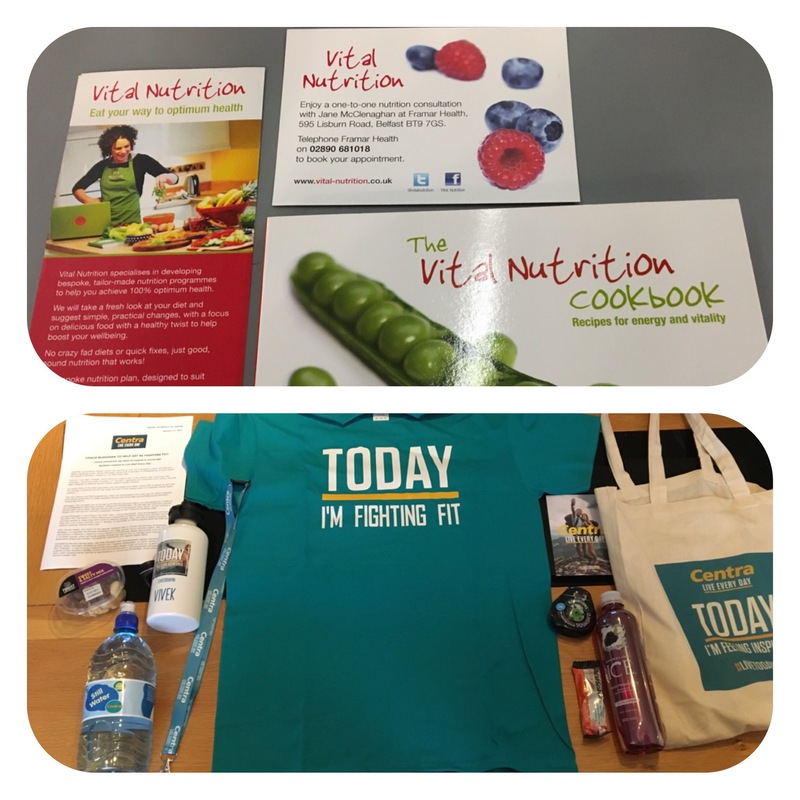 It was hosted by a well known local grocer Centra and introduced 4 new health based ambassadors. The Factory is a great space for everything like launches to arts and leisure. 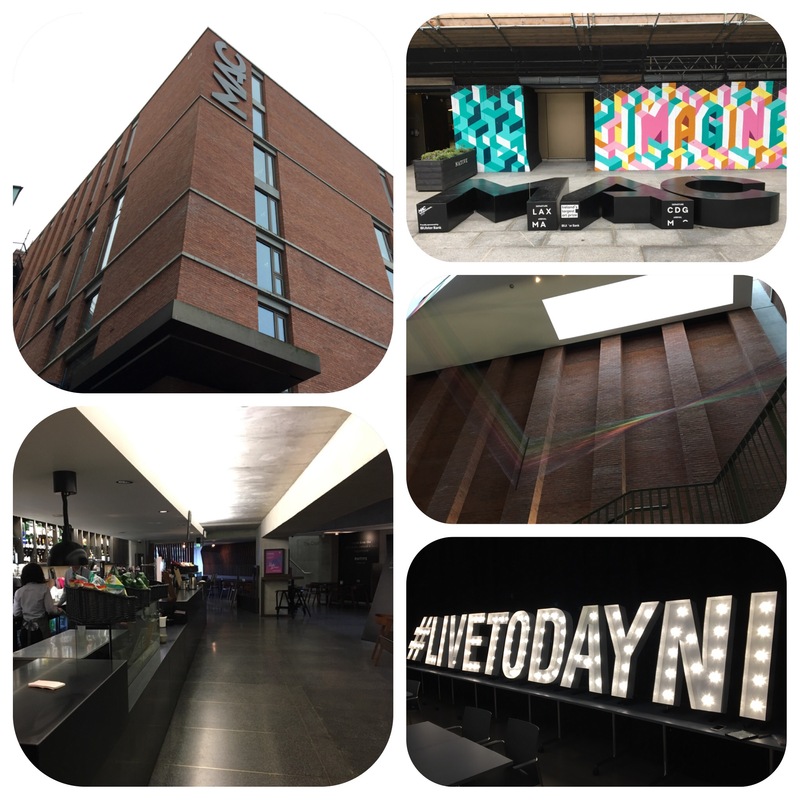 The MAC itself hosts conferences, plays, dramas, art exhibitions and has a fantastic cafe and restaurant. It’s located in the Cathedral Quarter and there are plenty of great eats and drinks around!!! Health wise we are sitting on a potential health and wellbeing timebomb with epidemics in heart disease, diabetes, obesity, tooth decay and mental health issues. Jane McClenaghan (nutritionist ,healthy eating) who is in charge of healthy breakfasts and snacks. She made a delicious and nutritious breakfast and a smoothie, which we got to taste. I also won her book and a 1 hour food review session with her. Bridgeen Rea (Masters in Mindfulness, yoga teacher and wellness expert) is in charge of mental health and showed us some simple ways of relaxing/controlling our minds. With our ever more complex lives we all need to look after our mind as well as body and soul. Johnny Davis (ex Olympic and Commonwealth fencer) is in charge of the running programme. This will encourage people to get out and about and run all over NI. He stressed the wearing of correct running shoes and also showed off his big bouncy ball!!! Best way of describing this is one which pregnant ladies used for excercise/relaxation. I have used it when my wife was pregnant and it’s brilliant!! John McGuigan (son of Barry, who in absentia sent a video message) is in Vegas training Carl Frampton for his upcoming match versus Santa Cruz. He will be creating fitness plans. 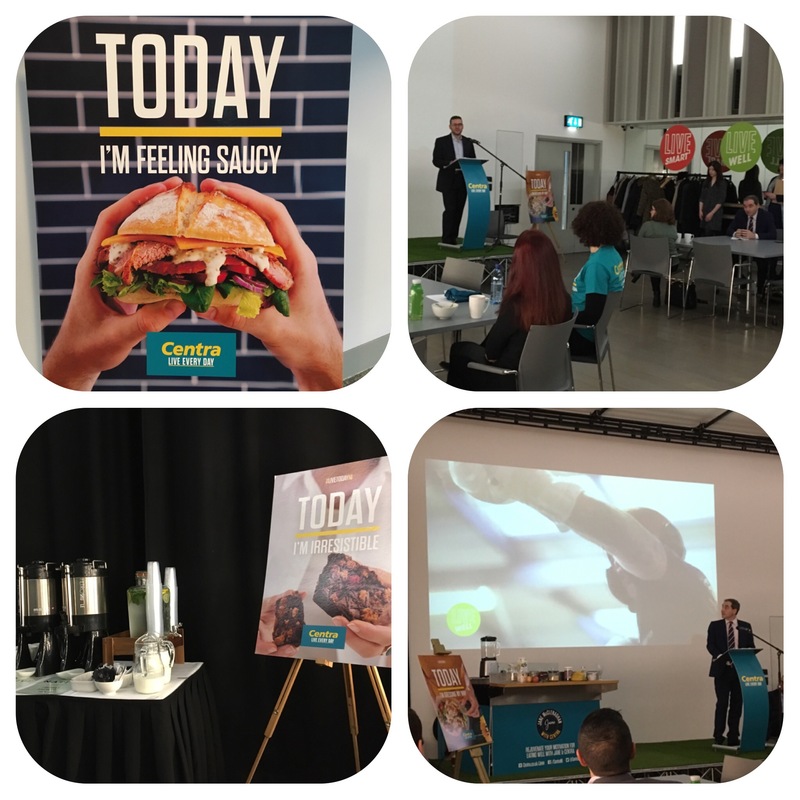 Michael McCormack the MD of Musgrave NI, the Centra team and the Ambassadors all have to be highly praised for actually doing something about our health. 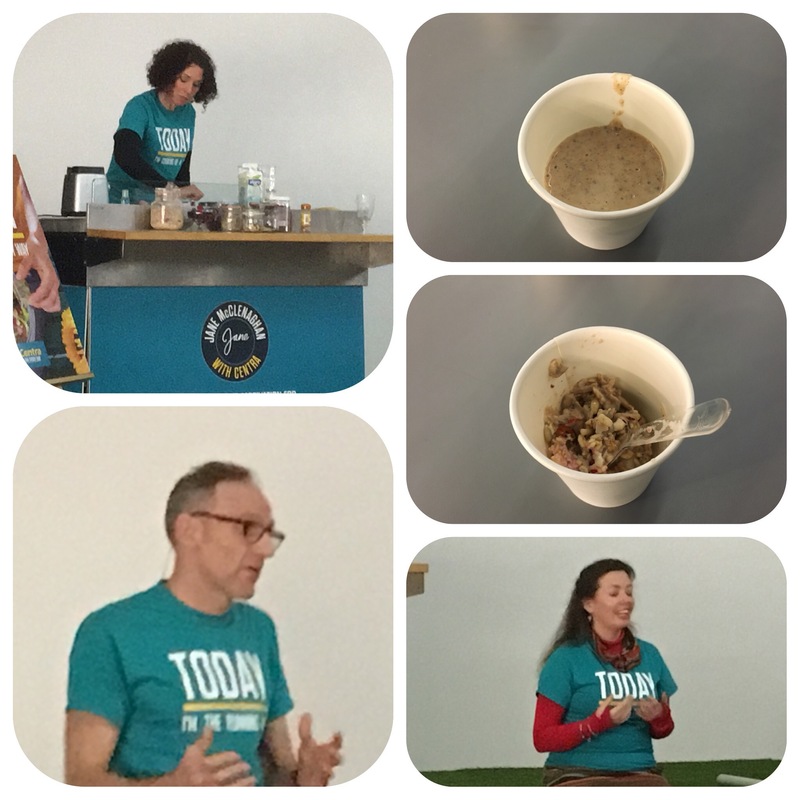 The rest is up to us………Big thank you for the invite and the wee goody bag-but with my dentist hat on we need to see less sugary/sweet snacks (even sugar free) as this accustoms our bodies to sugar. Sounds like an awesome presentation here!